Muller Mobel M20 Highline Corner Desk is a stunning piece of practical furniture that incorporates a clean, minimal designed appearance. 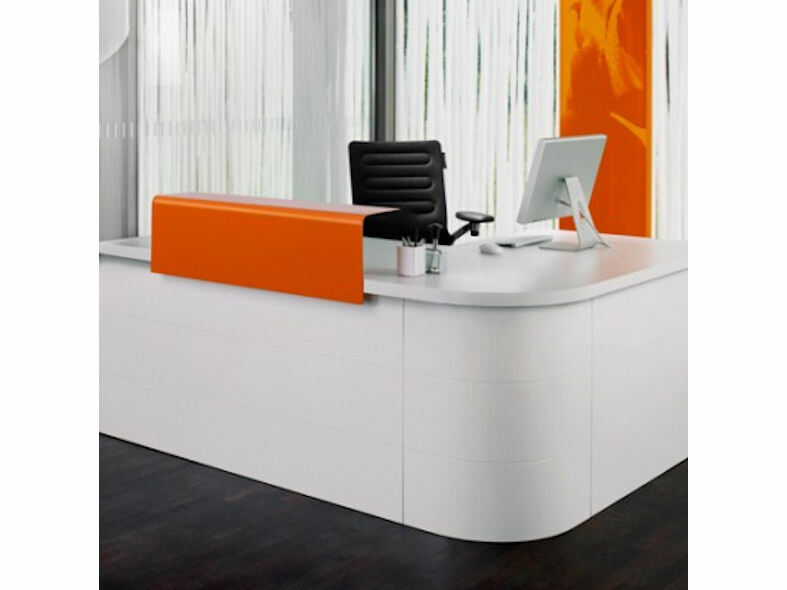 The M20 Highline Desk is tailored to suit your requirements. All Muller desks are both beautifully engineered & precision manufactured pieces of furniture. 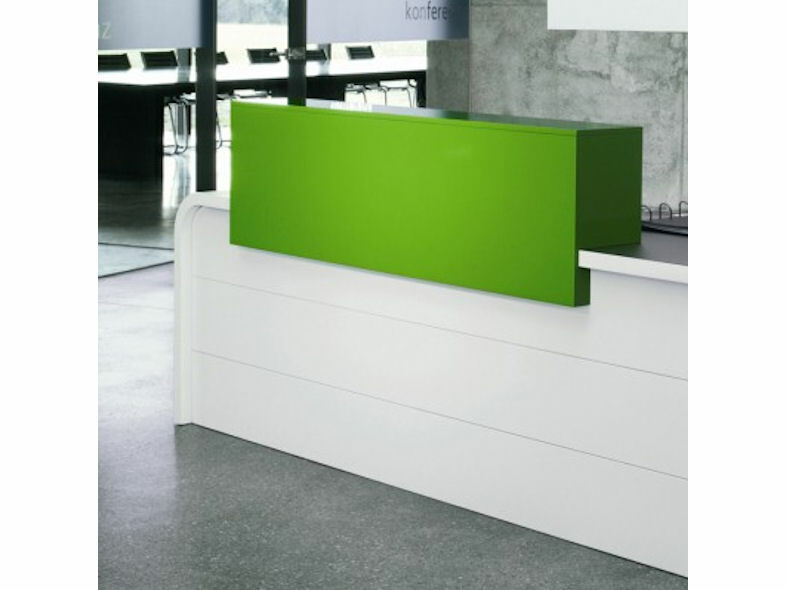 The M20 Highline Reception Desk is available in both left & right handed options. The metal radiused base can be semi matt lacquered in any RAL colour of your choice. A separate horizontally segmented front panel and an optional, any length of counter top, can be fixed to the desk top. The M20 Highline Desk is also available with a polished stainless steel edge to the desk top at an additional cost.